Sometimes you just get comfortable. Whether it’s in your favorite chair, on a pillow-laden bed, or perhaps on your favorite Overwatch character. You’re comfortable, and you don’t want anything to change that. In Overwatch, you’re stuck with five other people in your team while you attack an objective, or defend one. While skill definitely comes into play, the best way that you can be the winning team is to correctly form up those six players together. 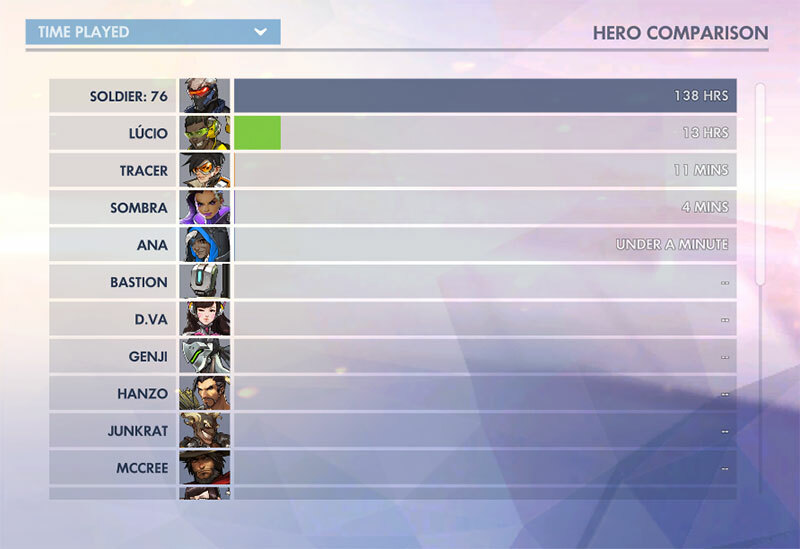 The competitive meta is strong, currently either in a two tank, two healers and two DPS formation, or the strong three tank meta with an Ana as a healer. Most of the time, you and your team will want to fit into one of these formations. The problem is, most people want their comfort picks. What happens if that one comfort pick is just about the only character they’ve ever played in the game? Sure, you already knew you were on the internet, but you’re about to get a huge blast of the best the internet has to offer. Trolls, flamers, and people who never had a girlfriend and take their rage and aggression off on you. Now, in the DPS and non-healing/squishy tank range, there are many levels of useful to useless characters. Perhaps you love Roadhog, so you can explain to your team how you’re going to both tank and DPS. You could carry on Symmetra, explaining how she’s been buffed recently and you’ll get a teleport down immediately. You could be something as versatile as Soldier 76, a DPS that works in any situation. You’ll do great with these comfort picks, but it’s time to start heading into the basement of heroes. Along the way, you’ll pass the unwanted but still viable picks. Torbjorn, Junkrat or Mei while defending, Tracer or Winston while attacking. A Genji that you claim you’re great on for any objective. You’ve taken the final step and you’re down on the basement floor of heroes. Here’s where it really starts to get ugly. You’ve dominated Quick Match, no one would ever complain there as they help assemble a team of six DPS and no support or healers. You love Arcade and can’t do anything wrong there. Now, we’re in competitive, and as you lock in that Widow or Hanzo, the spray of salt coming at you is like a tsunami. “Get off that useless hero, pick a support, pick a tank. They’re not good on attack, they’re not good on defend. Play something more versatile.” This is your life now. Even if you’re the Hanzo god amongst men, or your deadly aim with Widow is carrying your team, you will never be respected. Not even when the Play of the Match shows you single-handedly getting a team kill and securing the objective. So, what do you do in this situation? Well, you could cave and find out if there’s any hero out there in the more acceptable range that you might like that would help placate the group. You know what though? Overwatch is a game. Competitive Overwatch is still a game. If you’ve spent all your time on that hero, then you play that hero. If you think that the best you can bring to the table to help win the game for your team is that hero, play it. Ignore the salty talk, the cursing, the insults. Don’t mute the chat though, you’ll still need to assist the team by calling out locations, movements, and deaths. Just ignore them telling you to change if you know that you’re doing well on it. They won’t notice, because they don’t want to notice. They can’t see you getting snipe after snipe, or hacking a Reinhardt’s shield down so your team can wipe out the enemies. They will never see those things because they refuse to, their minds are already made up. You play your heart out, you win the game, and you move on to the next. You may never find a solo queue group that accepts you for what you play, but when you’re a Grandmaster Hanzo/Widow/Sombra, you can just laugh at them as they’re still stuck in Platinum. This doesn’t just apply to Overwatch either. Any game that you love that you must choose a hero to play with on a match, you pick what you need to be the best on. If it doesn’t form around the team’s ideals of a composition, then others who are complaining about it will need to adjust their roles. Don’t let people get you down because you play something cute, annoying, useless, or made of glass. You play because these are games, and they make you happy to play them on the character you want to play. I know what I’m talking about. I’m a Teemo main.